Smoking not allowed inside of apartment strictly out doors on patio or grounds. My dad lives downstairs and is available at anytime to render assistance if needed. Hi David, thanks for your review, I'm glad that your stay was enjoyable and you had a fantastic time. Looking forward to hosting you in the near future, once again thanks for giving me the opportunity to be your host it was my pleasure. We stayed 5 weeks in the apartment. Apartment is clean, cozy and well located. 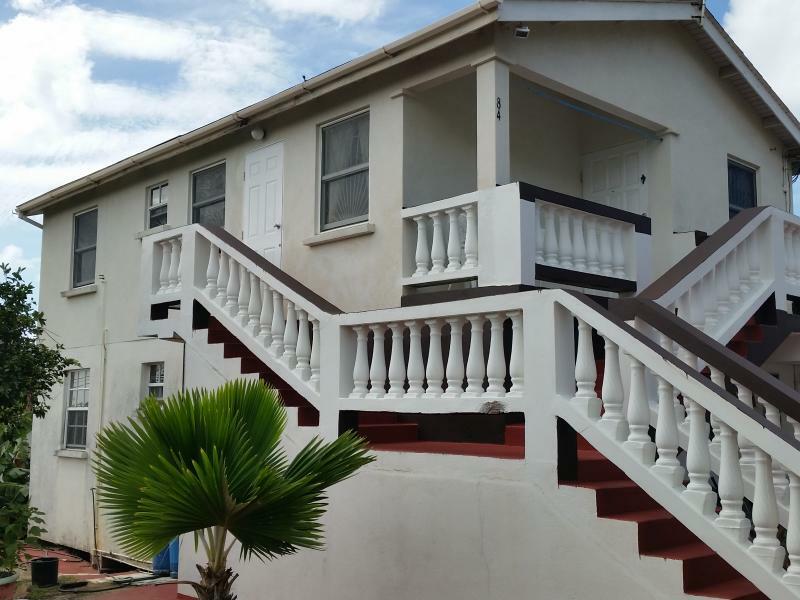 Situated in a safe residential community 10 walk to the beach and into Speightstown. Randall (the owner) is very nice and accommodating. Would definitely return for a future stay. Stayed for 2 weeks in february. Neighbourhood was friendly and quiet. Nice shaded porch to sit on in afternoon. Thanks again, Dave and Deleah for allowing me to play host to you, it was my pleasure, I'm glad your stay was enjoyable and I'm looking forward to welcoming you again soon. A quiet residential neighborhood walking distance to Heywoods Beach and Speightstown where banks, restaurants, bars, supermarkets and post office can be found. Port St Charles and Port Ferdinand are also in close proximity . Travelling around the island can be done by hired car, taxi or public transportation.